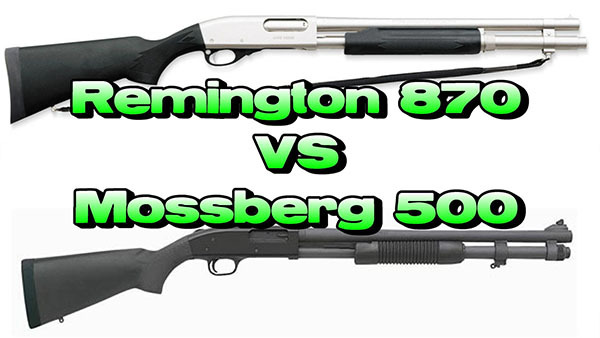 Mossberg vs. Remington: Which is Better? The debate between the Mossberg 500 and Remington 870 has been raging for decades. Join us as we dive in to some of the details, similarities and differences of these two popular pump-actions shotguns! When anyone starts looking for a shotgun, the names of Mossberg and Remington are guaranteed to come up. These two manufacturers represent the kings of the mainstream shotgun market in the United States. The true challenge is deciding which one has the edge over the other. 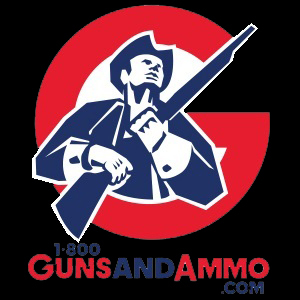 Just put an opinionated Mossberg fan in the same room with a die-hard Remington enthusiast, ask which manufacturer is better, and you will get one fiery debate…but no true answer to your question. Although I could write a novel comparing these two industry giants, there is no way it would stop the debate once and for all. Instead, I have decided to give you some quick, honest insights into one of each of the manufacturers’ most popular shotguns: the Mossberg 500 and the Remington 870. I hope this can information can give you the knowledge you need to make a decision on your own! Effective Range: Both the 500 and the 870 have an effective range of 40 meters, or just under 44 yards. Gun Weight: The Mossberg 500 is significantly lighter than its Remington counterpart at 5.5 to 7.5 pounds when empty. The Remington 870 weighs between 7 and 8 pounds. Cost: The Mossberg gun also comes with a lower price tag than the Remington 870. You can expect to spend around $300 for the 500, while the 870 will cost you about $400. Available Cartridge Sizes: The Remington 870 can be found in 12 gauge, 16 gauge, 20 gauge, 28 gauge and even .410 bore. The Mossberg 500 is not quite as flexible, but it does offer the only sizes you really need with 12 gauge, 20 gauge, and .410 bore options. Muzzle Velocity: The Remington has a general muzzle velocity of approximately 1550 feet per second. The Mossberg 500 varies from 1325 to 1560 feet per second depending on load. Length of Barrel: The 500 is available with a barrel length of only 14 inches long, while the 870’s shortest barrel is 18 inches. Both shotguns feature 30-inch barrels on the long end. Origins: Both the Mossberg 500 and the Remington 870 have long, proud histories. The Mossberg 500 has been in service in the United States since 1961, and the Remington 870 has been around in the US since 1951. Action: The 870 and 500 are both pump-action shotguns. Feeding System: Both shotguns utilize an internal tube magazine that will hold up to 8 rounds. Sights: All Mossberg 500s come stock with bead sights. Remington offers standard bead, twin bid, adjustable open and ghost ring sights on the 870. They also offer cantilever and receiver-mounts for after-market scopes. Common Variations: There are three primary variations of the Mossberg 500: the Model 590, 590A1 and Bantam. The Remington 870’s most common variations are the Wingmaster, Express, Marine, SPS, SPS-T, XCS, TAC, Super Mag and MCS. 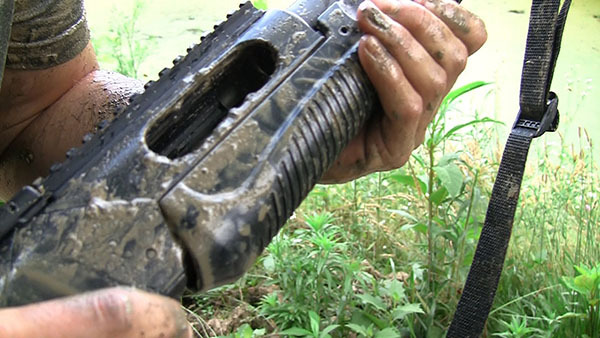 Both the Mossberg 500 and Remington 870 were built to withstand harsh conditions without failing. Both firearms feature many of the same design characteristics to make cleaning and maintenance as easy as possible. However, they also have some major differences. For example, the receiver on a Mossberg 500 is aluminum while the Remington 870 utilizes a steel receiver. Generally, the Mossberg 500 uses lighter, cheaper materials to keep the price and overall weight as low as possible. There are actually quite a few plastic parts on a Mossberg 500. The Remington 870 focuses more on strong, sturdy materials, but many argue that this strategy only increases weight and cost, not durability. Although it may not be the first thing you think about when choosing a shotgun, the placement of the safety is an important feature to consider. The safety placement is very different on these two guns. 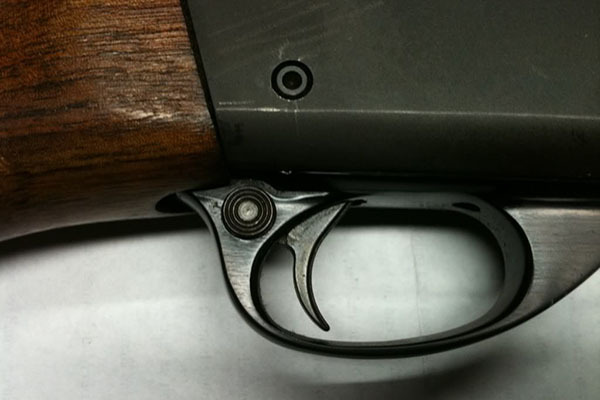 The Remington 870 uses a common safety placement on the trigger guard. It clicks back and forth between each side of the shotgun. While some people feel comfortable with this placement, it does require that you remove or contort your hand considerably to turn it on and off. This safety placement is also hidden from the shooters point of view when mounted. In a high stress defense scenario, one with minimal training might get confused with this safety placement. 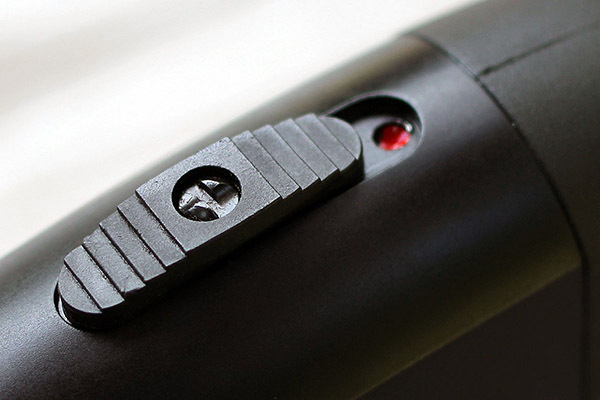 The safety on the Mossberg 500 is mounted at the top of the gun above the action. It can be more easily deactivated without removing the hand from shooting position, and it is also very visible to the shooter in a mounted position. This makes the safety much easier to check and change in a stressful scenario. Shotguns like these are used in a wide array of different applications. They must be durable enough to handle any conditions. In most cases, both the 500 and the 870 stand up to the challenge, but we ran a few tests to find the differences between the two. In the first test, both guns were placed in a hole filled with muddy water with their actions open. After soaking for about a minute, the guns were rinsed out and shot. While the 500’s slide was a little rougher than the 870’s, the trigger on the Remington stuck upon initial fire. Other than that, both weapons worked just fine. In our second test, both shotguns withstood falls from heights of up to 15 feet (imagine your tall deer stand) without any issues. They also performed perfectly after being driven over with a truck. We even drug the two shotguns for a while from our bumper and, besides some aesthetic damage and wedged gravel in the action, the 500 and 870 both performed without failure. Both the Mossberg 500 and Remington 870 are commonly used as home defense weapons. Although some stick behind the 870’s long history of getting the job done in law enforcement, warfare and general defense, others believe in the value of the Mossberg 500. The placement of the safety and slide release are important to many home defense consumers, and the Mossberg may have the advantage here with its more-accessible release and more-visible safety. The Mossberg is also lighter, another valuable advantage for home defense. Oh, and its cheaper! However, Remington proponents would argue that customizable features can fix the placement concerns and that the sturdiness of the 870 makes it the better gun when your life is on the line. Many agree that the Remington 870 features a more solid design than the Mossberg 500 as well. At the end of the day, you will have to make your own decision. Since there are many similarities between these two shotguns, you should really try mounting each of them to see which one feels better to you. Is the visible safety a big positive for you, or do you actually prefer the cross-bar safety design? Do you value a lighter overall gun, or is a sleek design more important? Eventually, you will find the right shotgun for you. 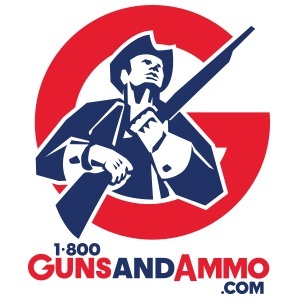 Just don’t let any gun dealer sell you one way or another!